Value of the family home: date of separation or trial? The value of the family home: date of separation or trial? The value of the Family Home is a contentious issue in family law because it is often the family’s largest major asset. When the Family Home is registered either spouses’s name, it is considered family property under the Family Law Act. 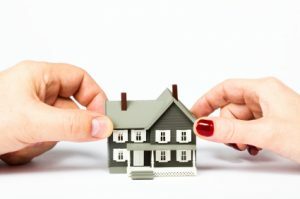 When spouses separate, section 81 of the Family Law Act gives each has a right to a half interest in the family property, including the Family Home. When spouses are negotiating their separation and/or a buyout of each other out of the Family Home, a common question that arises is “When do you value the Family Home?”. The Family Law Act gives us the answer. Under section 87, the value of family property, including the family home must be based on fair market value and that value is to be determined as of the date of trial. However, this is not the end of the story. One of the struggles facing a separating spouse is the rising real estate market and the time it takes to move a matter through the court system. The high cost of housing leads separating spouses unable to buy each other out of the Family Home or purchase a new house on their own. Often spouses find they cannot qualify for financing to assume the mortgage themselves. In those situations the home has to be sold and the proceeds divided. There can also be a significant amount of time between when spouses separate and when they finally reach an agreement or go to trial: sometimes years. From the date of separation the Family Home may increase substantially in value. The spouse looking to purchase the other spouse’s interest faces an increasingly expensive buyout as the value of the family home increases. However, the courts in recent cases have indicated a willingness in certain circumstances to shift the value of the Family Home to the date of separation. In Slavenova v. Ranguelov, 2015 BCSC 79, the court found it appropriate to value the family property at the date of separation because the husband left for Bulgaria after separation and the wife had managed and paid for all the family property since then. The court found the wife’s efforts in maintaining the property were of some value and held that the using a different valuation date allowed the court to address the unfairness that may arise from one spouse’s post-separation contributions. In Bamford v. Mulyati 2017 BCSC 945, the court reached the same conclusion where the wife fled Canada and had no involvement in, either preserving, maintaining or managing any of the family assets. Due to the rising Vancouver condo market the value of the family home had increased over $200,000 since separation. Madam Justice Morellato held it would be significantly unfair to value the wife’s interest at the date of trial in light of the husband’s sole efforts in maintaining the family home. In A.J.E. v. T.B.W., 2017 BCSC 1657 a wife sought a share of the family assets after a 3 year marriage. The husband maintained these assets and paid all of the debts associated with them following the separation. Mr. Justice Milman held that the increases in value of the assets that occurred between separation and the trial date were entirely based on passive, market based forces and the husband’s payment of the mortgage. He also noted the matter took much longer than it should have to get to trial and that delay was partly attributable to the wife. In Davie v. De Mark, 2017 BCSC 872 a husband sought 50% of the increase in value of a Vancouver condo that the wife purchased before the marriage. The condo was valued at $665,000 when the relationship began. At the time of separation the value of the family home was worth $775,000 and by the time of trial it had increased substantially to $920,000. The husband sought half of the $265,000 increase although the wife paid for the entirety of the costs to maintain and preserve this property. Madam Justsice DeWitt-Van Oosten rejected the $920,000 valuation based on the fact that the husband made no contributions and the increase was largely due to market trends. She held the appraised value of the date of separation would be the value. The increase in value to be shared was $120,000 not $265,000. “In Blair v. Johnson, 2015 BCSC 762 (CanLII), Madam Justice Fleming discussed this issue and concluded that the court should be satisfied that there would be significant unfairness arising from the awarding of equal shares of the property valued at trial before the court departs from the date of trial as the valuation date pursuant to s. 87 of the FLA. To conclude otherwise would allow for an earlier valuation date resulting in a radical departure from an equal division as of the date of trial in circumstances where the significant unfairness threshold under s. 95 is not met. The court of appeal in BC has also commented on the issue in Jaszczewska v. Kostanski, 2016 BCCA 286 where Mr. Justice Harris acknowledged that while there is judicial discretion to depart from the equal division of family property section 81 of the Family Law Act gives a spouse an entitlement to family property independent of whether a spouse contributed to the property post-separation. The law provides family property is to be shared, regardless of use or contribution. The above cases show that the court is more likely to adopt the date of separation for the value of the family home where there is significant unfairness and market forces at play. The fact that one spouse maintained the property while the other did not does not appear to be enough to warrant an earlier valuation date. If you are separated, thinking of separating or in the process of getting a divorce, reach out to the goodfirm family law lawyers at Richter Trial Lawyers to see how we can help.